A new study published in The Lancet Oncology suggests that the birth control pill offers long-term protection against endometrial cancer. In the past decade, it’s estimated that the pill has prevented 200,000 cases of the disease in economically developed countries. 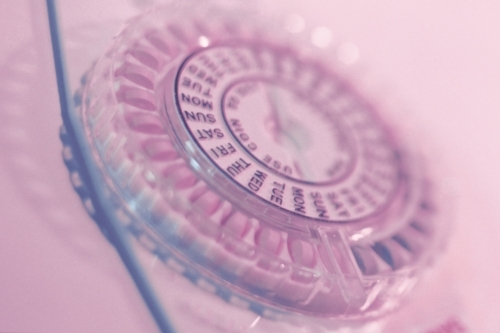 Researchers collected data from 36 epidemiological studies from Europe, North America, Australia, Asia and South Africa and looked at the effects of the birth control pill. The data included 27,726 women who had endometrial cancer and 115,743 women who did not. Results from the data showed that the risk of endometrial cancer reduced by about 25% for every five years the birth control pill was used. In high-income countries, the team estimated that 10 years of using the birth control pill reduced the risk of endometrial cancer from 2.3 cases per 100 users to 1.3 cases per 100 users. Researchers also discovered that despite estrogen doses in birth control pills decreasing over the last 50 years, women who did use the pill in the 1980s, when estrogen doses were less than double what they were 20 years earlier, experienced the same reduction in endometrial cancer as those who used them in the 1960s. Furthermore, the amount of estrogen in the lower-dose pills is still sufficient enough to reduce the development of endometrial cancer. Based on the findings, researchers concluded that between 1965 and 2014, the use of birth control has prevented about 400,000 cases of endometrial cancer in developed countries, with about 200,000 of these cases prevented between 2005 and 2014. Beral V. et al., “Endometrial cancer and oral contraceptives: an individual participant meta-analysis of 27276 women with endometrial cancer from 36 epidemiological studies,” The Lancet Oncology, doi: http://dx.doi.org/10.1016/S1470-2045(15)00211-9, published online August 5, 2015. Whiteman, H., “Birth control pill provides long-term protection against endometrial cancer,” Medical News Today web site, August 5, 2015; http://www.medicalnewstoday.com/articles/297743.php.